ICONIC comes with many different packaging options. ICONIC comes with four different packaging options. 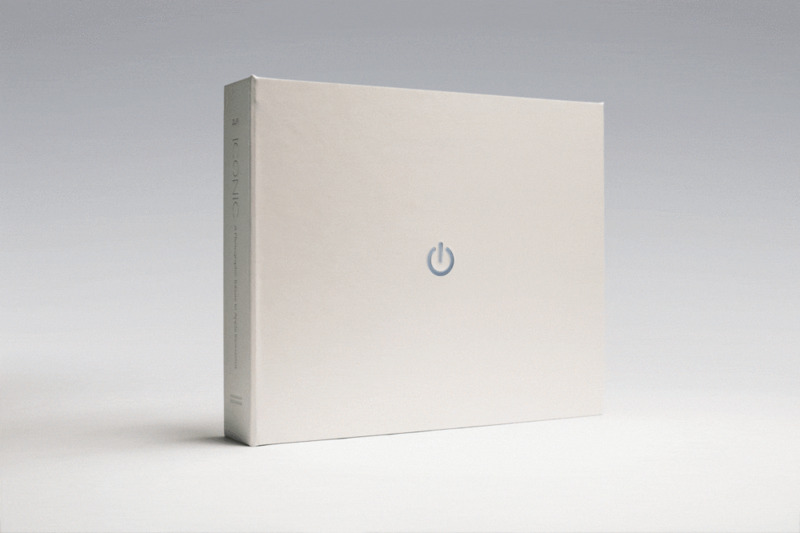 ICONIC: The Classic Edition updates the first edition with more desktops, iDevices and prototypes photos, as well as an updated cover. 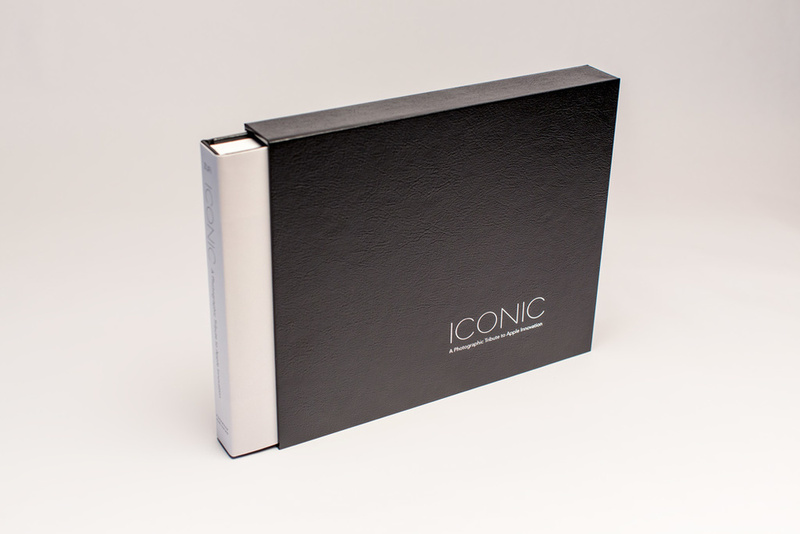 ICONIC is the perfect coffee table book for the Apple enthusiast and a great gift for friends and family. Iconic: The Ultimate Edition For the mega Apple enthusiasts, the Ultimate Edition includes a magnificent white Cromwell Aristo Grain clamshell case with a custom embedded LED that triggers a pulsing sleep cycle on movement, two original 8.5" x 11" prints and a letter of authenticity from the author. Iconic: The Special Edition. For the retro Apple fans, the Special Edition includes a Corvon® Metal-X cover giving a metal-like finish with a rich, lustrous covering material, a black slipcase, a custom form fit 80's vintage Apple retro form factor book case, stainless steel nameplate, original 8.5" x 11" print and a letter of authenticity from the author. Note the special edition ships with the *first* edition of ICONIC with the Metal-X cover.